Longboard dancing has transformed the streets and squares into a rolling dancefloor for a few years now. You can see it everywhere. Much of the greater public was awakened to this new form of skating in last year's release of the Skrillex feat. Poo Bear “Would You Ever” music video. These crazy guys leave the common man that is just trying to learn to skate in awe as they dance along on a longboard as if it was nothing. We met up with one of these longboard dancers, Luís Cardoso, and talked to him about skating, filming and of course, this video below featuring him showing off his electric boogie on a Mellow! Who is filming in your video and who is dancing? What are your guys' background? I'm Luís Cardoso, the one dancing in the video and a friend of mine, André Lima, is filming. We are both motion designers, but we both love sports and outdoor activities like soccer, basketball, frisbee, mountain bike, volleyball, snorkeling, kayaking, rollerblading, and skating of course. I am 34 years old and I was born in Aveiro, Portugal. André is 32 years old and born in Lisbon. He is a very talented motion designer who also happens to love filmmaking. We work together and are very close friends. Besides motion design I am also passionate about filmmaking and photography. I enjoy whole process of storytelling through the lens, pushing some camera buttons and trying to get some smiles on people's faces. One of my favourite projects is my longboard documentary I made about a friend of mine, Abou, who is the world champion of longboard dancing. It's called “Small Wheels - Big Smile”. Where was this filmed? Tell us something about the city. This vídeo was shot in Lisbon, Portugal. We filmed along the riverside where we have beautiful places to skate. It's very wide and long. The landscape is breathtaking. We can skate in Lisbon almost all year long. It doesn't rain that much. And when it does, you just take some time to clean your bearings, play some guitar and prepare your skate to go back on the road. How did you get started with longboard dancing? I started skating almost two years ago, thanks to a vídeo of a longboard dancer I saw on Facebook. I was rollerblade dancing at the time, and I still do, but longboard dancing also involves freestyle and it is more challenging, but so much fun. So I bought a longboard and started practicing. A few weeks into it I was addicted. I lost sleep reading forums and watching videos online. There were a few tutorials for some peter pans, cross steps and some other fancy dance steps. And so the practicing began. Even when it was raining I went to Ikea's underground parking lot and I actually became friends with the security guard after a few sessions. Four months into longboard dancing I went to Eindhoven to see the best in the world of longboard dance and freestyle. In the world championship of longboard dancing called “So you can Longboard Dance?” sadly Portugal did not go far since I was their only hope. But I was there for the fun and to meet new people that shared the passion. I got some references, tried new boards, made some friends. I had a blast. I started attending longboard meetings, joined some groups and now I have a lot of longboard friends that I think will become lifelong friends. What board decks do you recommend for longboard dancing? For longboard dancing I recommend dancer boards, which are usually bigger than 42 inches (107cm) long, but for good dancing I would say my minimum length would be 47 inches, around 120 centimeters, which is also perfectly fine for some freestyle fun. The more steps you take, the more dancy you feel. I tried a few 60 inch boards, around 150 centimeters long, and those are dance machines. The dancefloor never ends! This board in the video is a Majutsu Buto Odori, 120 centimeters long. A hand crafted dancefloor with wheels made in France, by Charles Lamoureux. To me, they are the best longboards for dancing and freestyle, very stylish but also very strong with lots of carbon and fiberglass. The flex of their Bamboo feels just right. What kind of camera/editing program you work with? I shoot with a Lumix GH5. With a gymbal when skating. Shaky footage makes my teeth cringe. I edit with Adobe Premiere, After Effects and Cinema 4D for motion graphics and 3D. 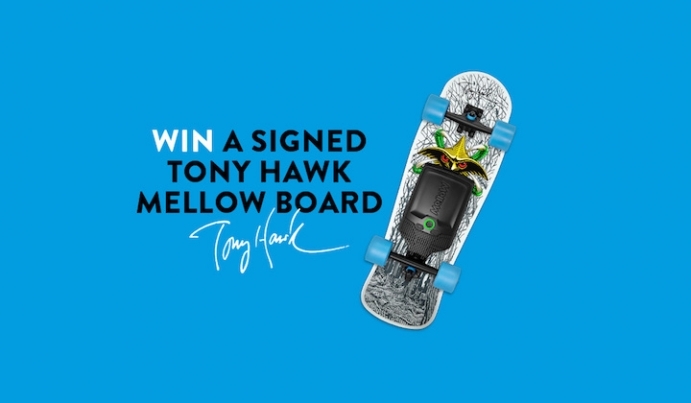 What is so special about longboard dancing with the Mellow? I tried a few electric skateboards. The Mellow was the first one that gave me the opportunity to use one of my longboards, where I feel very comfortable. It was natural to skate. The remote is very smooth but responsive at the same time. The acceleration is gradual almost to perfection. The best feature for me about the Mellow is the Endless Mode. That is why I felt the need to make this vídeo. When you use the endless feature you go as fast as you push. But something very special happens when you do some dance steps. If you do some fast steps with some carving, the board actually goes faster! Due to the enertia of your carving flow, the longboard accelerates! This is very cool, especially for practicing because you get faster when you get better and your flow automatically improves. Sometimes I start dancing at 5 or 10 km/h and a few steps and seconds later I am going full speed at 25 km/h (in Eco Mode). It's so much fun! 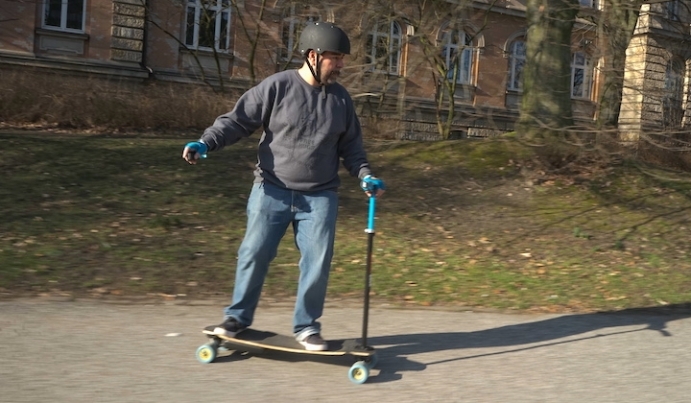 The quality construction and reliability of a Mellow is like the Audi or BMW of e-skates. The torque going uphill is insanely good. I tried a few "Made in China" knock-offs and they are too fragile, noisy and can't go uphill. When I unlocked the Pro Mode I could not believe how fast I was going uphill. Straight or downhill is pure adrenaline. 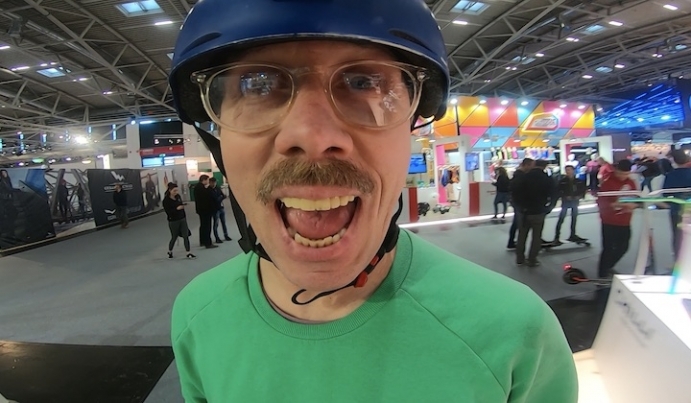 Are electric skateboards legal in Portugal? I am not sure if electric skateboards are legal in Portugal, since it's such a new thing. I think they are considered the same as an electric bicycles. I can tell you that I have not been using my car to go to work anymore. I have been using the Mellow. The road to my workplace is uphill with a pitch of 20 degrees or more. Who is your favorite longboard dancer? My favourite longboarder has to be my niece who is 3 years old, she just loves skating. Of course I have a few idols like Achel Machin, Aboubakry Seck, the superstar Lotfi Lamaali, Jeff Corsi, Milan Summerville, among others. *We recommend anyone using the Mellow to wear a helmet. Keep Mellow news rolling in by signing up to the Mellow Times.